Buddhism played a significant role in the history of India. It attracted the attention of many kings, noblemen and merchants, who were influential members of society and took key decisions in changing the course of Indian history. From the time the Buddha emerged on the scene until powerful Hindu kings like the Sungas, the Satvahanas, the Guptas and the Brashivas reestablished Hindu traditions in the native soil in the post Mauryan period, Buddhism gained ascendance in the soil of India. Then began its long period of decline. By the early Christian era, Buddhism was a dominant world religion, practiced probably one half of the world, in countries such as India, Sri Lanka, China and Far East. Later due to various factors Buddhism decline. The emergence of Islam and Mongols in Central Asia sealed whatever chances Buddhism had outside India, whereas a number of factors, including the invasion of Islamic barbarians contributed to its further declin e in the subcontinent. You will find here articles on the history of Buddhism, life of the Buddha and his important disciples,the development of Buddhist Sangha, origin and development of various schools of Buddhism, Buddhist Councils and more. 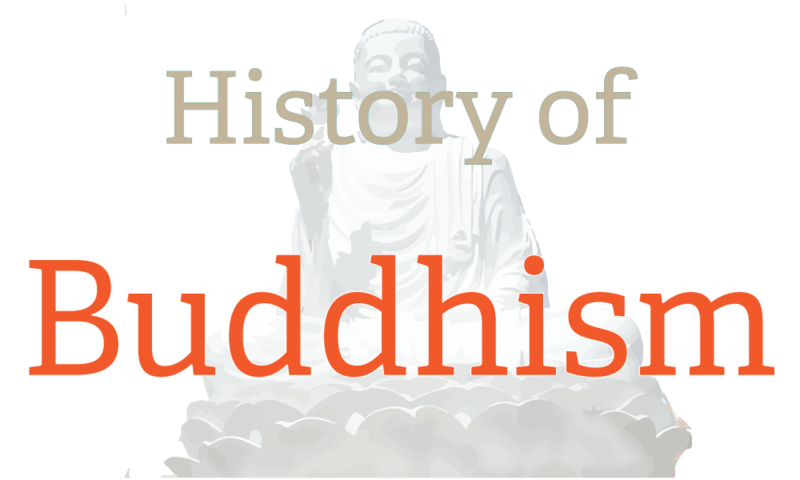 The history of Buddhism has been well documented and preserved by the Buddhist Sangha since the earliest times by codifying Buddha's teaching and preserving various accounts from his life and activities and the progression of Buddhism through various stages from a local religion to a world religion. Jayaram V.